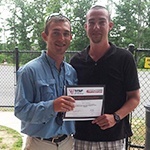 M2 Quick Enroll "Buy Now"
The Jumpstart Program is an optional course aimed to help new riders gain confidence with the motorcycle before signing up for the Basic Rider Course. A license is not issued for this course. Motorcycle and helmet are provided. 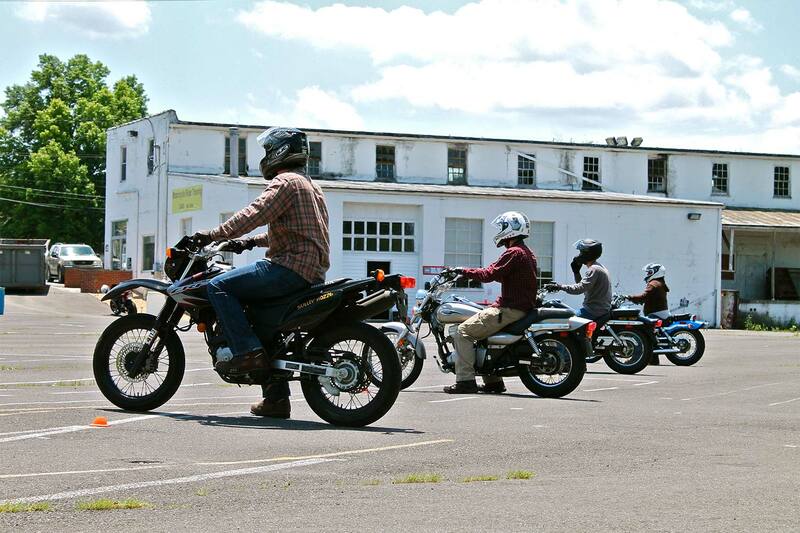 2 Wheel Licensing Class is a 3-Day Class that will waive the DMV Knowledge and Road Skills test. 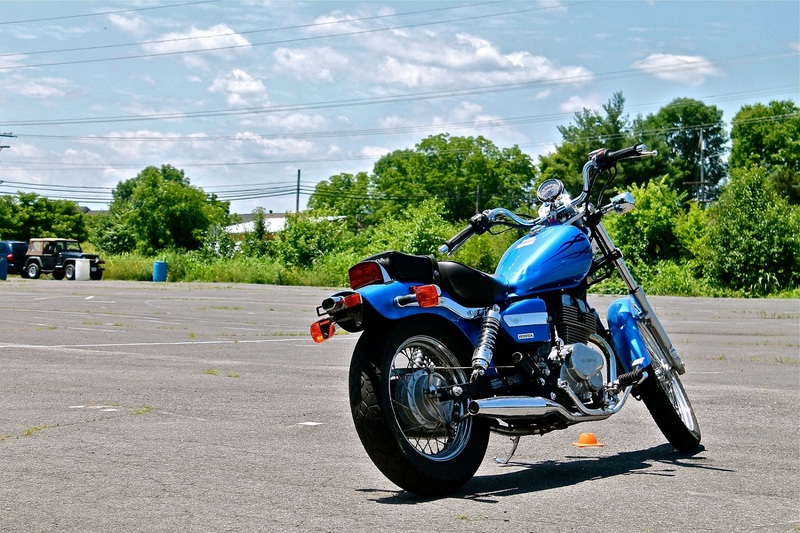 This course provides the basic entry-level skills for new motorcyclists. 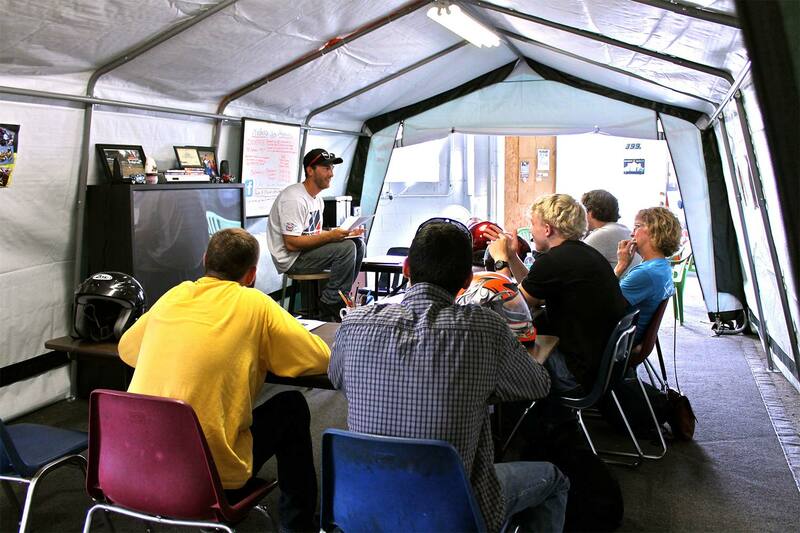 With this class, you’ll earn an M2 license. Motorcycle and helmet are provided. 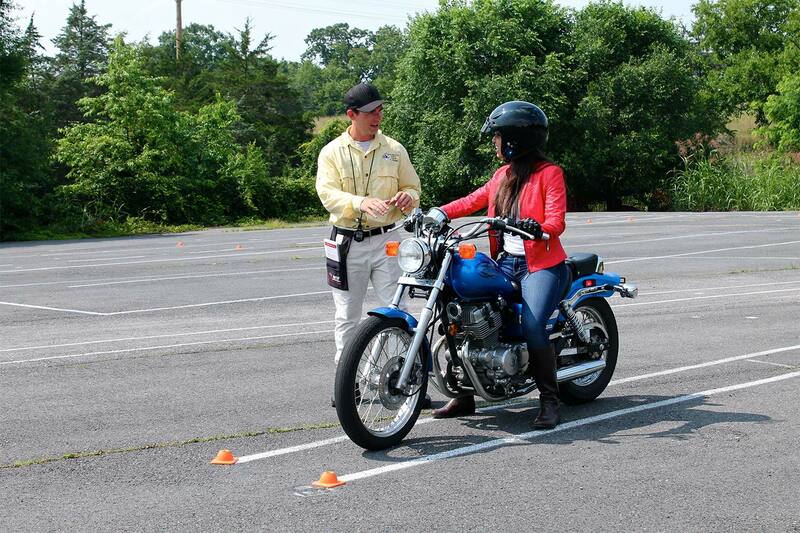 3 Wheel Licensing Class is a 6-rider or less class. For details, please email us (click on the button below) for pricing and the upcoming course schedule. Private M2 Licensing Customized Schedule: This 15-hour class will have your M2 license issued on-site! Choose your days and complete Day 2 of the course within 10 days. This course is $499 per person with a two-person maximum. Regular class sizes are 9 students. 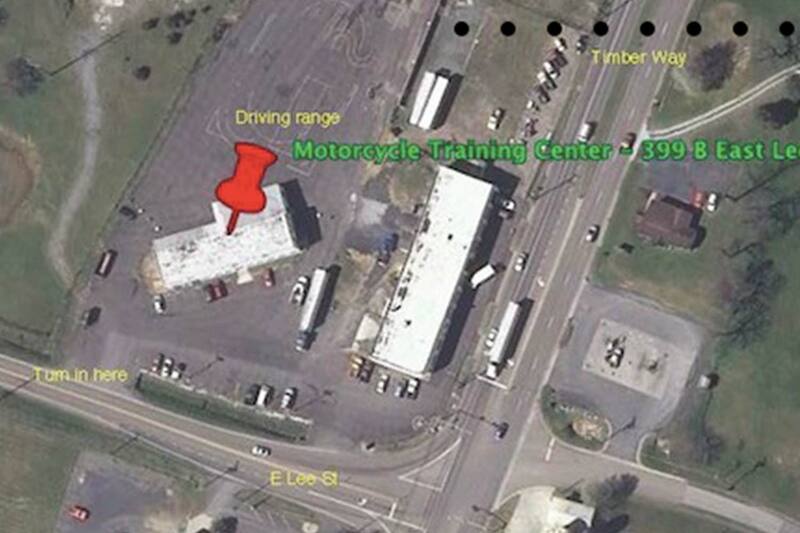 Learn motorcycle safety from the professionals at Riders In Motion at Blue Ridge Powersports in Harrisonburg, VA and receive your Virginia-required M license, M2 endorsement or M3 endorsement in as little as three days! 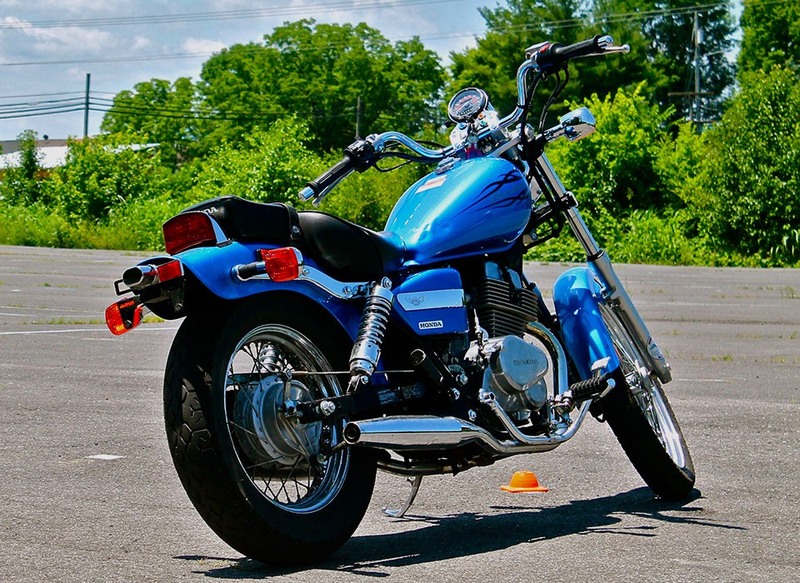 Riders In Motion provides affordable, efficient motorcycle safety courses to help you understand the hazards that affect motorcyclists each day. 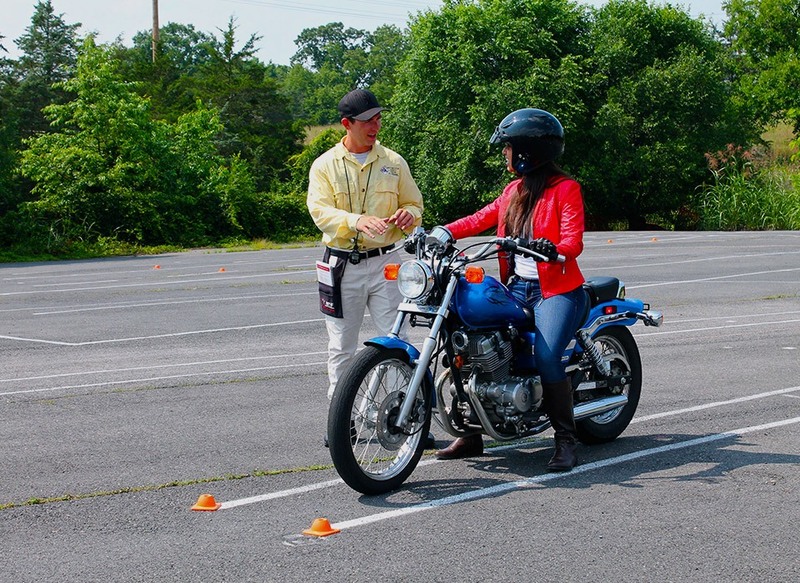 The classes at Riders In Motion are developed to not only review the basics of safely handling your motorcycle, but also how to be prepared for split-second decision-making that could help save your life. 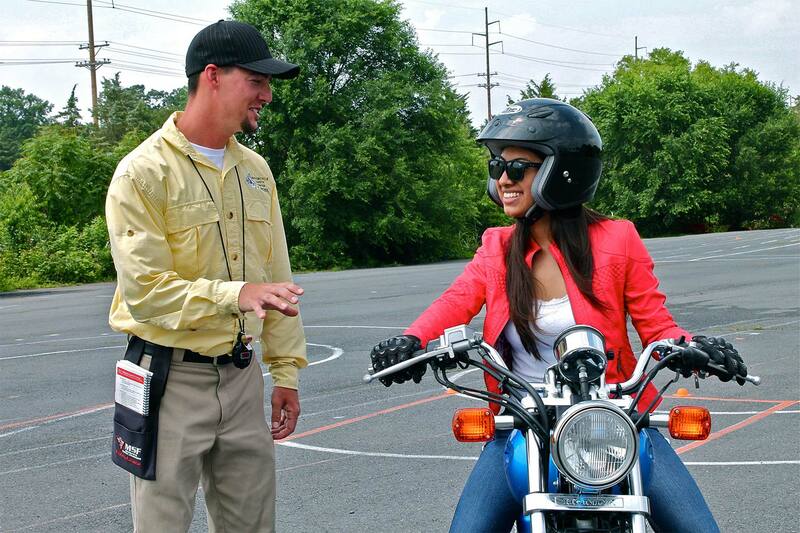 Take to the road with the confidence and skills that you need to be a safe motorcyclist. 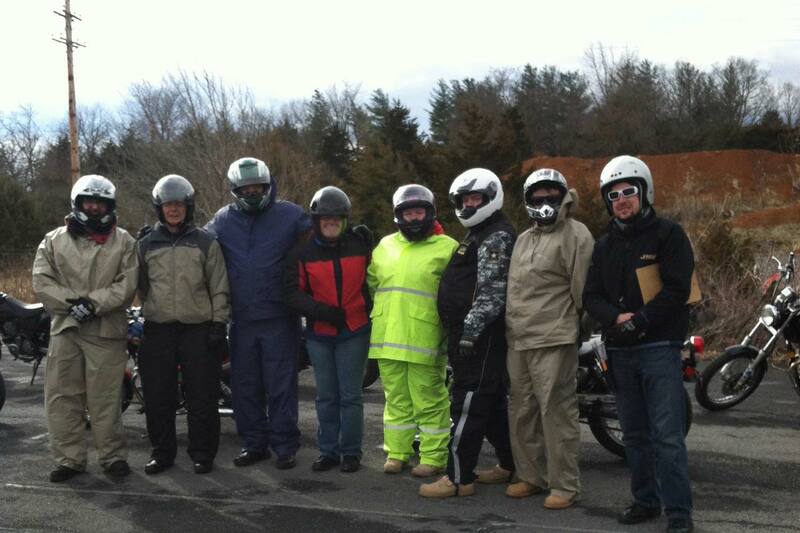 Learn from the pros through our efficient, knowledgeable instructors at Riders In Motion at Blue Ridge Powersports. 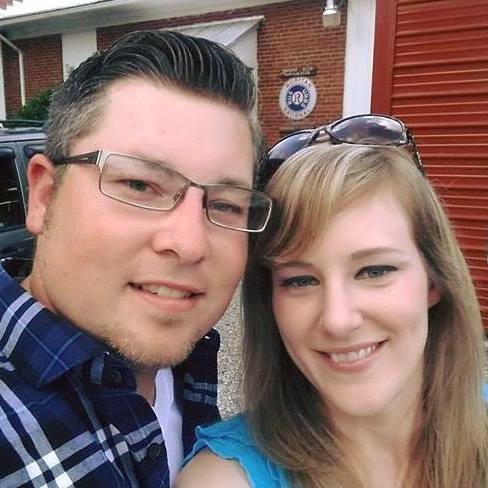 For more information, give us a call at (540) 478-5348. You may also email us or stop by to see us at 20 Heritage Drive, Harrisonburg, VA 22801. 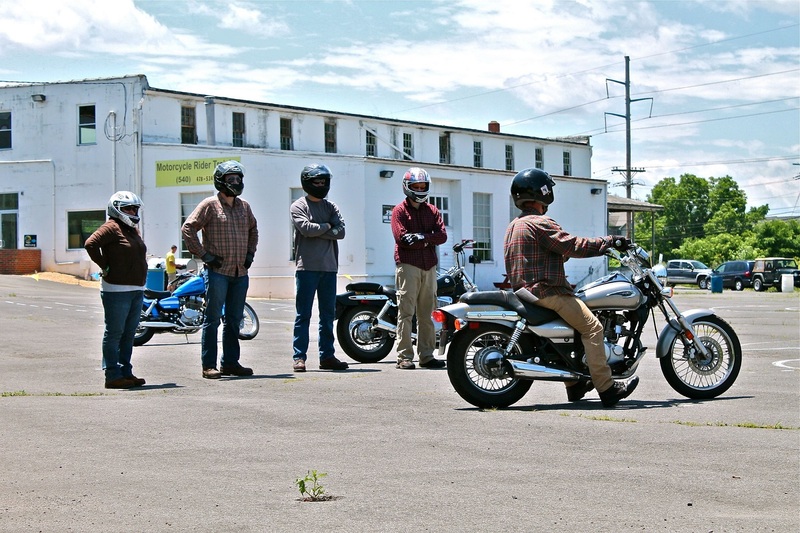 Riders In Motion is open year-round. Students will be asked to wear this gear at all times while operating the motorcycle. If for any reason you decide to cancel, please contact our office within 7 days prior to your class start date. A full refund minus a $50.00 processing fee will be issued to the student cancelling the course. Students failing to cancel before at least giving 7 days notice will NOT be issued a refund and the full course cost will be forfeited. If you are late, do not show up, fail to cancel within the cancellation period or leave the class for reasons such as rain, sickness, injury, etc, NO REFUNDS will be issued and the course cost will be forfeited. If there was unsuccessful completion of the course in which a student did not pass the written and or driving exam the student may register for the class again at 1/2 course cost. Students who request a reschedule will be charged a $35 transfer fee to be placed in the requested class. If the student is unable to request a reschedule date at this time, RIM will hold the course registration fee for up to a year until the student contacts us for a reschedule date. It is the students responsibility to make arrangements with Riders In Motion for reschedules within a years time or the course fee will be forfeited. Students will be expected to show up on time and come back from breaks on time with gear and class/range materials with them. Please bring a highlighter to class. Class times will vary but please be prepared to spend the entire day at the school. Class ALWAYS begins at 8:00 AM, DO NOT BE LATE. Please arrive 15 minutes before class starts to sign paperwork. 1hr for lunch will be provided each day. The class will be divided into 2 or 3 days. There will be a 3-person minimum in order to hold the course where the class may be cancelled or postponed at any point upon RIM request. 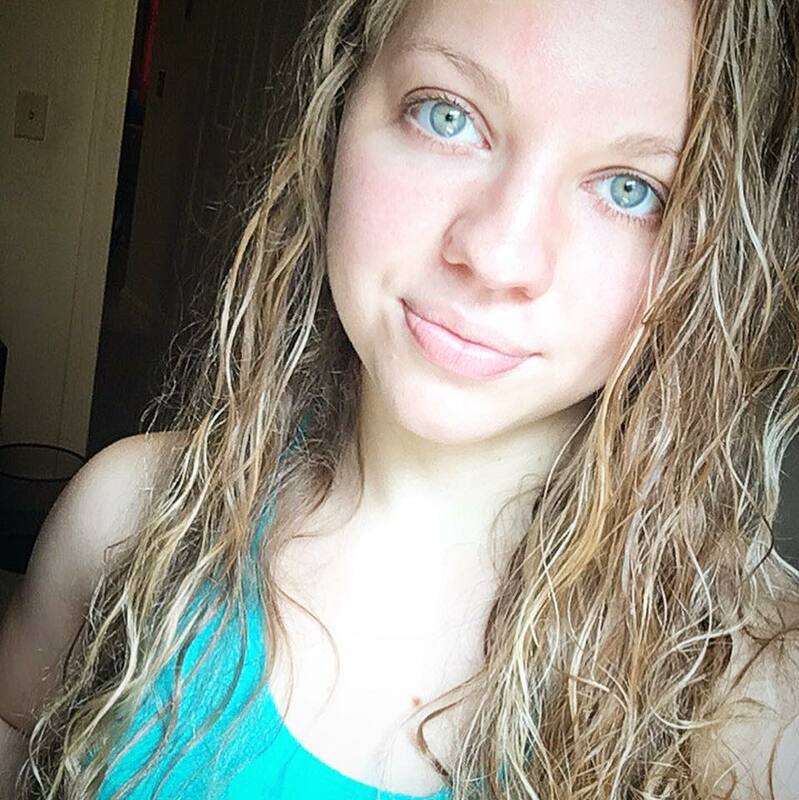 Students may have the option to request a refund, reschedule for the next available class, or opt for a 2 person private class. 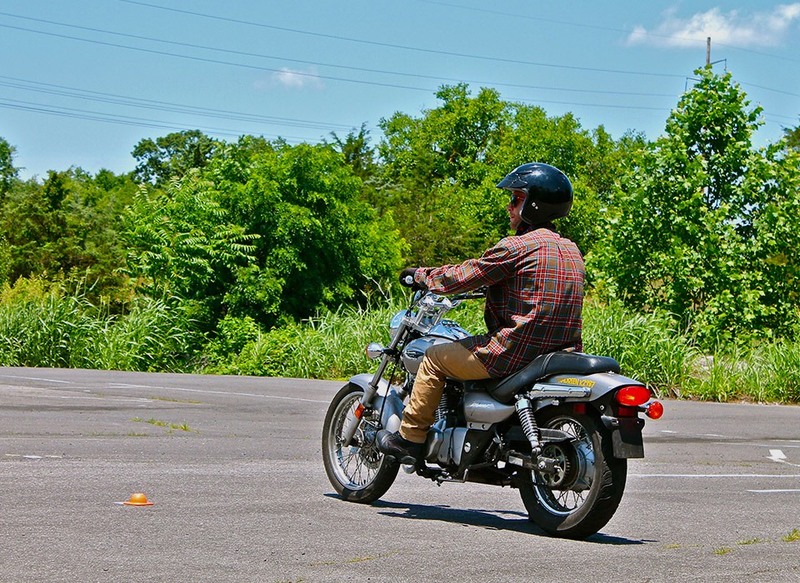 If you’re are thinking about reaching out and grasping the joy of motorcycle riding, I’d consider this class a necessity. Our rider coach, Bo, was there every second of both days with instruction, guidance, and personalized riding tips, given in the most professional and friendly manner. I left this class after two days of training, with my license, a smile, and a few new friends. Most importantly though, are the skills, and knowledge instilled in me that it takes to be safe, courteous, and respectful on the dangerous roadways we ride. Thanks again Bo. 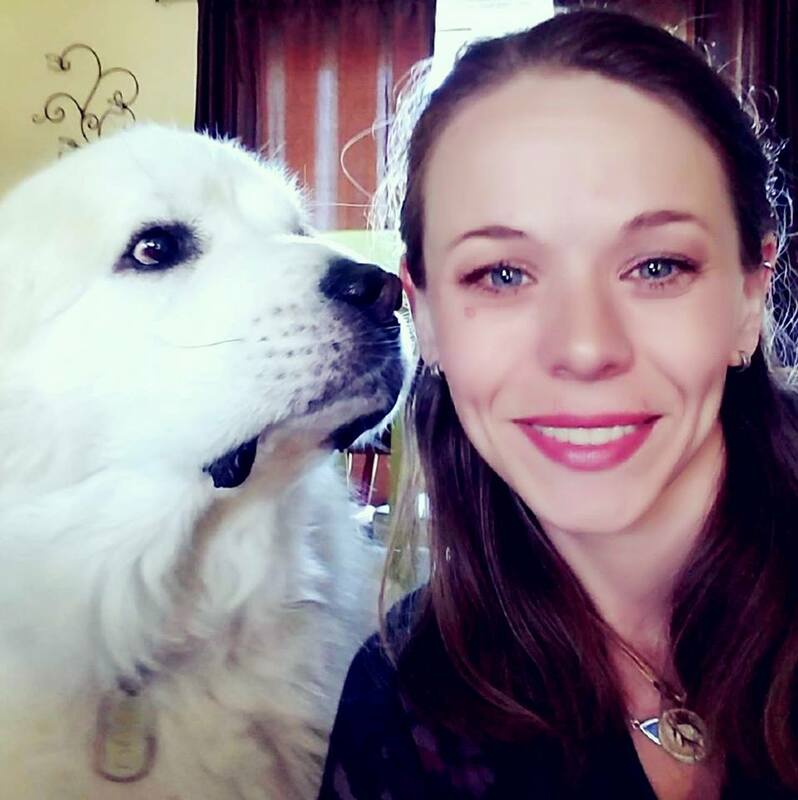 I learned so much in only two days… my confidence increased through each exercise and I walked away happy with my M2 endorsement. Wednesday & Thursday classes worked perfectly with my work schedule; I recommend anyone who wants to begin riding to start here! Thanks Doug. 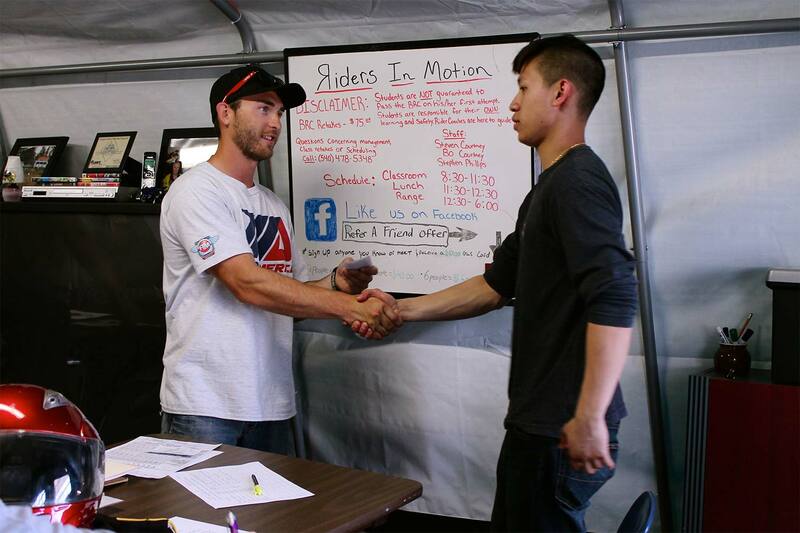 Riders in Motion actually teaches you to ride. 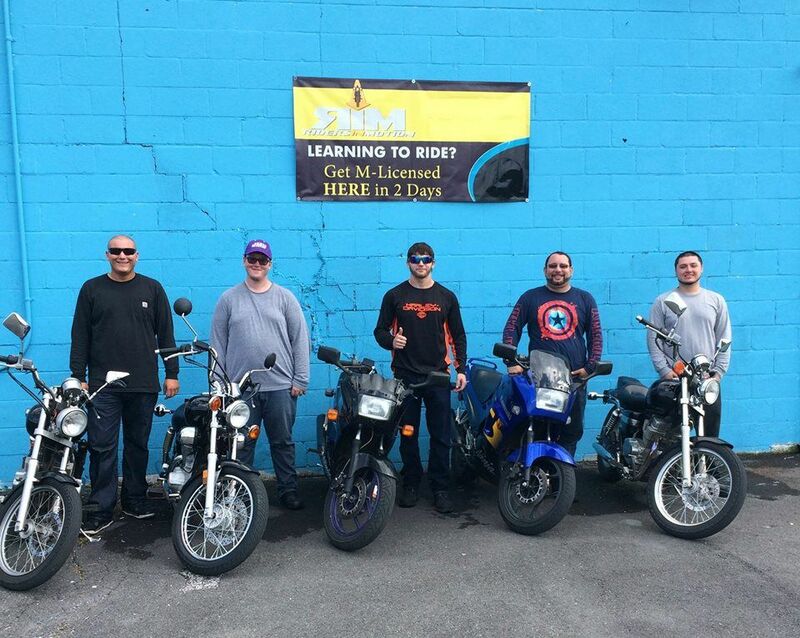 I didn’t need it but they offer beginner’s class (if you’ve never ridden before or need to brush up on the basics) to beyond getting your license. They learn your name there. The only certification class I recommend in the Valley. Enjoyed it! Bo is a great instructor. He showed me after 10 years of not riding that I still could. 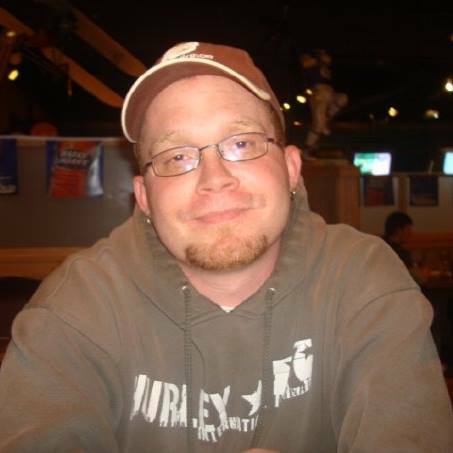 He shows alot of guidance so you are confident to get your license. Much fun, even in the rain. 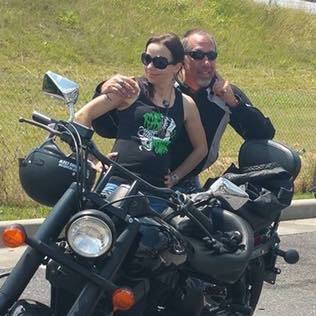 Bo, our Rider Coach, was very professional, knowledgeable, encouraging, and patient. And, gave helpful advice, when he saw a student having difficulty learning a particular skill. It was obvious he wants his students to succeed. Highly recommend taking the course through R.I.M. rather than any of the others in the area.